Dig in to the Fashion Revolution: together, we can create change by re-envisioning value chains from soil to soil. Whether you want to know who grows your clothes, or how to mend and repair them, or gain a better undertanding of the role of our working landscapes in drawing down carbon, read on for classes, events, opportunities, and inspiration from the Fibershed movement and community. Fashion Revolution Week is a worldwide campaign to raise awareness and promote change in the fashion industry. 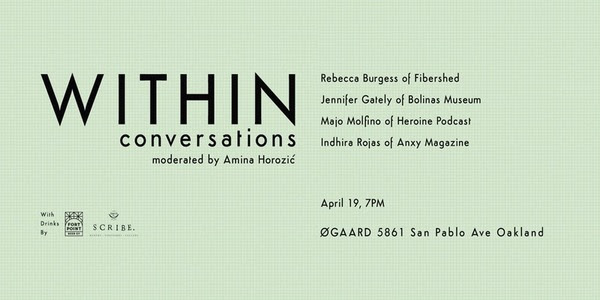 Join Fibershed Producer members Sierra Reading and Amy Keefer along with local designers Mira Blackman and Jenny Fong to refashion your clothing with mending, natural dyeing, and embroidery, at Handcraft Studio School in El Cerrito. You can also participate at home by sharing on social media and asking #whomademyclothes? We invite you to deepen the conversation in your Fibershed by including #Fibershed in your posts and considering #whogrewmyclothes. Find a Fashion Revolution Week event in your community. Fashion Revolution Re:Fashion Workshop on April 25th. Attend Fashion Revolution’s Night Out San Francisco on April 26th. or Fashion Revolution’s Night Out Oakland on April 27th. Join Stanford’s Revolution by Design on April 23rd. Textile-based gallery and studio Ogaard hosts Within, a monthlong wellness study in collaboration with Amina Horozic, including weekly panels that bring together “local luminaries in the worlds of art, design, food, business, social justice, and community.” Fibershed founder and Director Rebecca Burgess will join Jennifer Gately of the Bolinas Museum, Heroine podcast founder Majo Molfino, and Indhira Rojas of Anxy Magazine, in conversation. April 19th, 7:00 – 9:00 pm in Oakland CA: Click here for more information and to reserve a free ticket. Fibershed Materials Manager Krystle Moody and friends are designing a Carbon Farming Education Day at Stemple Creek Ranch—one of Fibershed’s Carbon Farm Plan partners—as a way to gather together to learn more about Carbon Farming while sharing a casual meal produced at Stemple Creek and Fortunate Farm. Proceeds for the event will support Krystle’s Climate Ride participation. Mark your calendars for August 13th for the event; tickets reserved ahead of the June Climate Ride fundraising goal will help advance this effort. 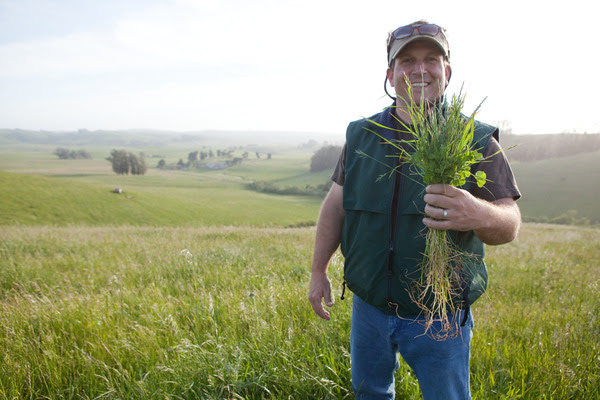 August 13th, 12:00 – 5:00 pm in Tomales, CA: Click here for tickets and information. Join the Brooklyn Fashion + Design Accelerator for a look at cloth that was grown, milled, and made within the region. 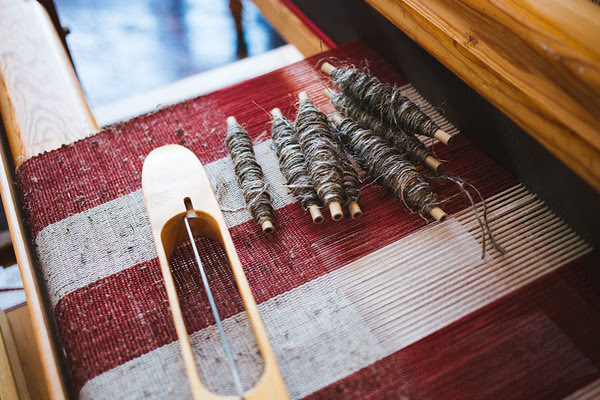 Designer and activist Laura Sansone founded Textile Lab to rebuild regional textile manufacturing and connect sustainable supply chains, and the Regional Cloth Project does just that with a focus on Hudson Valley fibers and stakeholders. May 2nd, 4:00 – 6:00 pm in Brooklyn, NY: Click here for details and registration. This month, Kentucky Cloth Project collaborators will gather to provide information and hands-on experiences on hemp farming and fiber processing. We welcome you to explore your regional land-based fiber system through your hands and senses. All ages and skill levels are invited, and presentations and classes are free of charge, thanks to the good graces of the Lydia B. Stokes Foundation. April 21st & 22nd in Kentucky: Click here to learn more about the event and to RSVP. Felt Decoded explores wool as nature’s technology, and the ways in which felt connects us to our nomadic past and a sustainable future. The exhibition features selected wool samples from the Northern California Fibershed, and a display copy of the Wool & Fine Fiber Book. 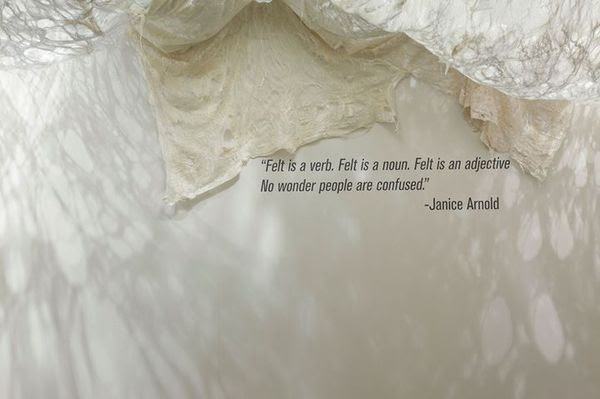 On April 27th, artist and curator Janice Arnold will share her inspirations, design process, exhibition highlights and insights. April 27th, 6:30 – 8:30 PM at the Museum of Craft & Design in San Francisco: Click here for details. Sustainability in the current economic climate, with reduced funding for the arts, was a significant factor in the decision, but Museum leadership also felt that, in many ways, MOCFA had achieved its essential mission. Founded in 1982 by craft artist and patron of the arts Gertrud Parker, the Museum’s mission has been to “provide exhibitions and educational programs to enrich and inspire, honor cultural traditions past and present, and celebrate the creative spirit.” MOCFA has provided innovative exhibitions and educational programs that have been designed to connect with and inspire diverse communities and served the Bay Area, as well as San Francisco visitors. As the only folk art museum in Northern California, the Museum has been recognized for its rich offering of focused and unique exhibitions of traditional and contemporary folk art and craft from around the world — demonstrating how folk art, contemporary craft, and fine art are all part of the same continuum. The Museum has been dedicated to working with artists on commissions of new work as well as promoting artist-led projects and public programs. MOCFA’s monthly CRAFT BAR series in partnership with ETSY has become a San Francisco tradition with an avid following of makers who converge on the Museum and on Yerba Buena Lane to socialize, learn new skills, and take something handmade home. CRAFT BAR has become a model for many national museums like the Renwick Gallery of the Smithsonian and has been presented at meetings of the California Association of Museums and American Association of Museums, as well as at Maker Faire and the American Craft Council. The program Thinking by Hand was created as a quarterly conversation platform that takes place in MOCFA’s gallery and engages the growing number of constituencies interested in the nuances of materiality and its creation of meaning, and has included such guests as Heath Ceramics, Christina Kim of DOSA, and textile expert Yoshiko Wada. Make It @ MOCFA is a monthly family-friendly workshop designed in conjunction with exhibitions and in collaboration with visiting artists. MOCFA’s award-winning educational outreach program has explored global artistic traditions and innovations through hands-on art making workshops customized for K-12 grades fostering self-esteem and respect for cultural diversity.